Another beautiful Sunday ride with the our shifting group of road worshippers, including new guy Meetul and almost new-guy Dan’s new Cross-Check. We took one of our standard routes: south from Madison, then east to Oregon for a cafe stop at Firefly, and then further east before heading north and home. One really couldn’t ask for a better day. Open roads, perfect weather, coffee, interesting conversation. The ongoing medical saga is, well, ongoing. Felt better, but also did not push myself too hard–but then there was no need to, given the route (not hilly) and the conditions (balmy, with hardly any wind). 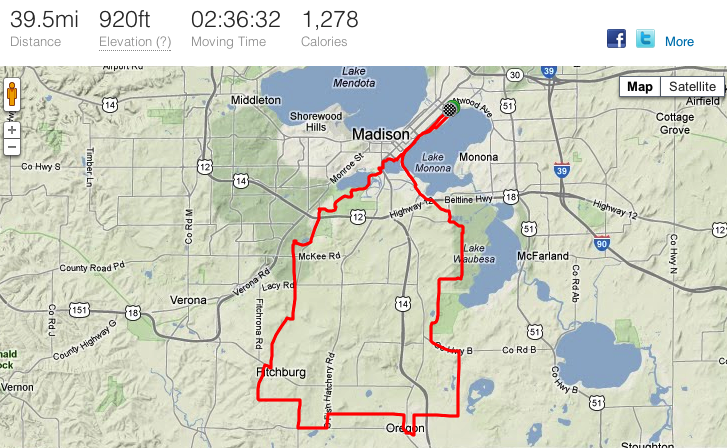 It feels like I’m making progress, largely because I didn’t feel bad during or after the ride. I guess that’s a start. 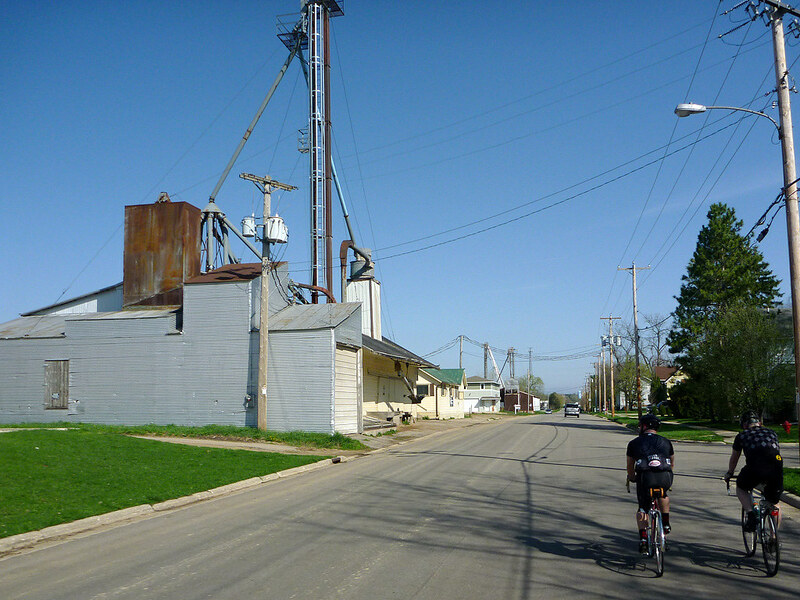 And I better get a start–it’s eight weeks until the Almanzo 100. Stats: 39.5 miles (+2.5 getting to and from the start); average speed of 15.1mph. Rode the Soma ES, as I’m still waiting for the roadie to return from the shop. Credits: both photos by Lemberger.